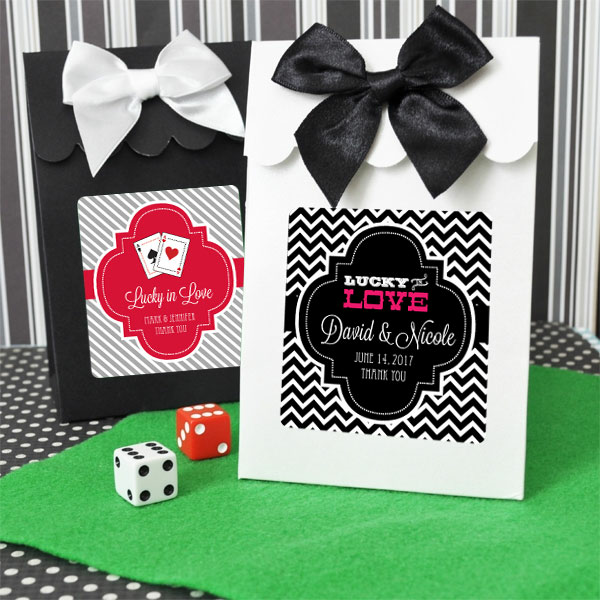 What a festive presentation these Casino Party favor bags will make at your Las Vegas theme party - great for Vegas wedding favors, prom favors, birthday party favors and more! Your guests can take home a fun reminder of your party when you put your own fillings in - be it candies, cookies, playing cards or other fillings! You may need to wrap cookies or candies with oil based ingredients to prevent staining of the bags. There is a large selection of colors and labels designs and color to choose from. Offered in sets of 12 bags. These sturdy paper bags have a lovely shimmer to them - fill them with whatever you would like. Choose box color, label design and label color - and then add three short lines of personalization (20 characters max per line). 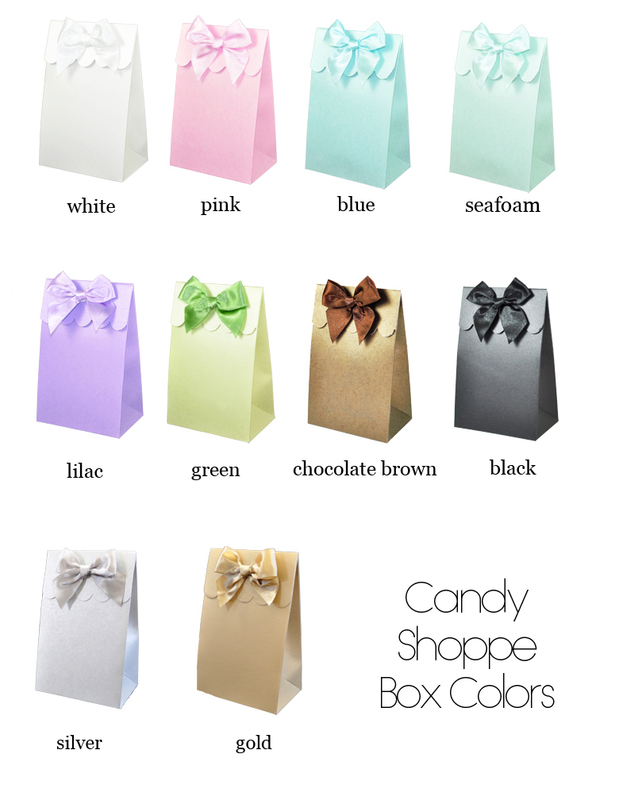 Each box comes with a matching color satin bow. Stickers on the box flaps hold them closed once they're filled. These bags are prepackaged with the same color bows. You can also order contrasting color bows in a set of 12 bows as shown in the inset for $4.80/set of 12. The bows could not be easier to work with - just peel off the self adhesive backing and affix to your bags. Labels and Bows do not come attached to the boxes. Assembly is required (attaching the self-stick labels and stick-on satin bows to the boxes). 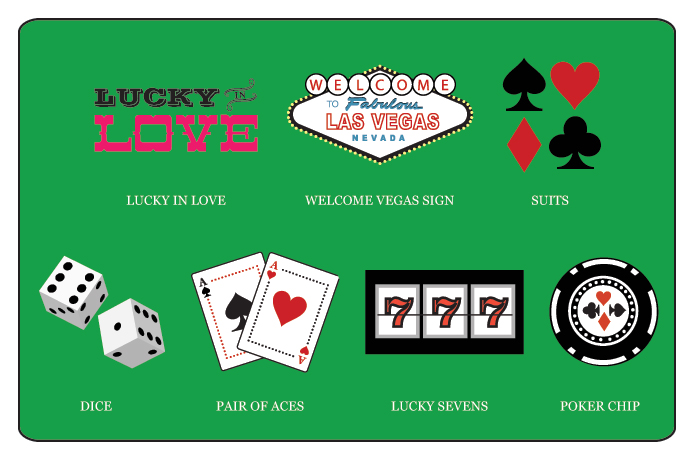 The Casino Party Favor Bag Size: 5.75" x 3.75" x 2.5".